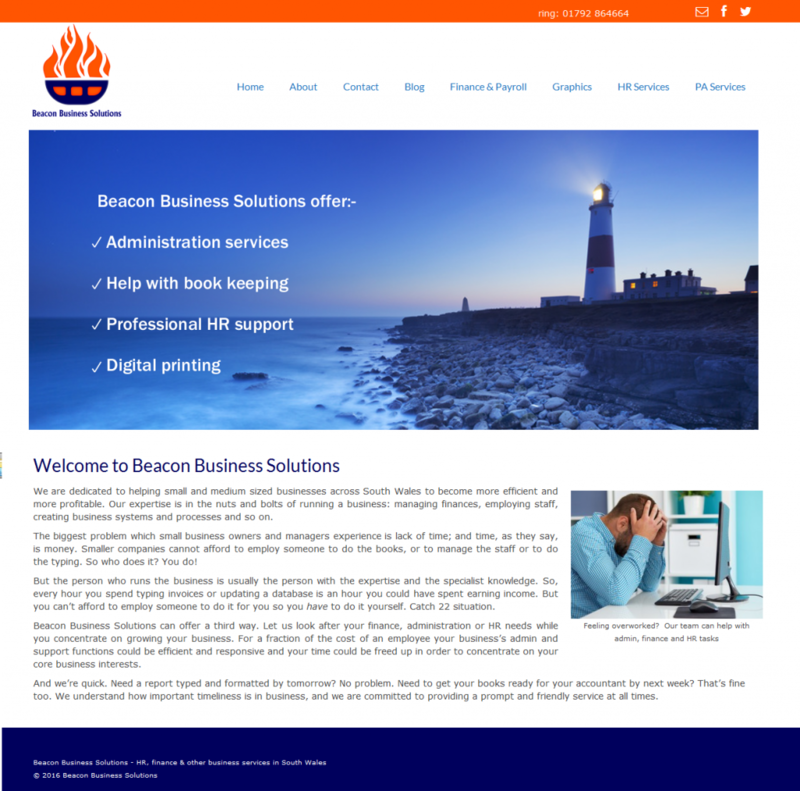 Beacon Business Solutions provide a range of business support services across South Wales. We were approached to design their website. Our brief was to create a professional, responsive website which they could easily update themselves. Beacon Business already had their logo created and asked us to match their chosen colours of orange and blue.